Before you start calling us “Beliebers”, no, we’re not one of Justin’s dedicated Beliebers, but we do think it’s time to throw Justin a bone. In other words, it’s time to acknowledge that Justin Bieber is nothing like the menace he became 2 years ago. After being booed on stage several times, being made fun of by his fellow celebrities, and even getting in trouble with the law, Justin Bieber has finally changed for the better. When Justin Bieber announced that he would be participating in a “Justin Bieber Roast”, we definitely weren’t the only ones thinking, “…and he’s okay with this? ?” Let’s face it, the old Justin would have never allowed something like this. In fact, the old Justin would never even understand why anyone would want to make fun of him in the first place. It doesn’t just stop there. More recently, a fan brought a backpack with Justin Bieber’s mugshot on it to a Make-A-Wish charity event, and you know what Justin did? He smiled at it and took a picture with the fan! Seriously, how many times does someone have to apologise for people to take them seriously? In Justin’s case, it seems to be a lot, as he’s done it so many times. He first apologised by releasing a video on his Twitter a few months ago. Then he apologised again during the Justin Bieber Roast on comedy central. This is in addition to making several remorseful comments in interviews with magazines. Finally, our last point…Justin actually seems genuinely nicer than he did before. In fact, we might even go as far as to call him likeable. That’s right, we said it. He seems likeable now, and it was very difficult to dislike him during his recent segment on The Late Late Show with James Corden. 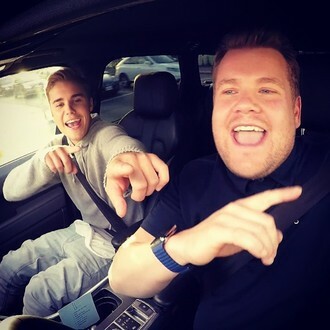 He and James lip-synced and joked around during a car ride that was taped for the show, and Justin just flat out seemed nice. The post All is forgiven? 7 Reasons Why Justin Bieber should be given a second chance appeared first on EntertainmentWise.